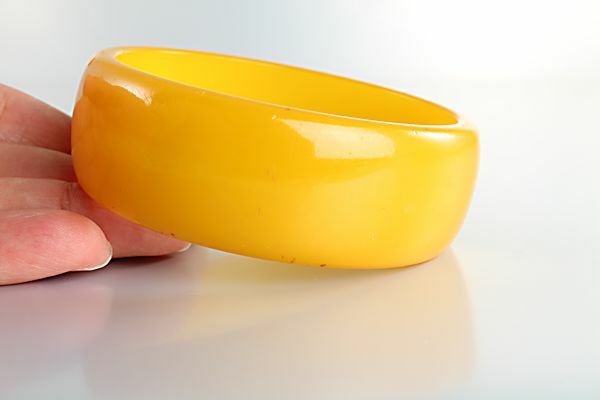 A beautiful deep butterscotch bangle, circa 1950s. 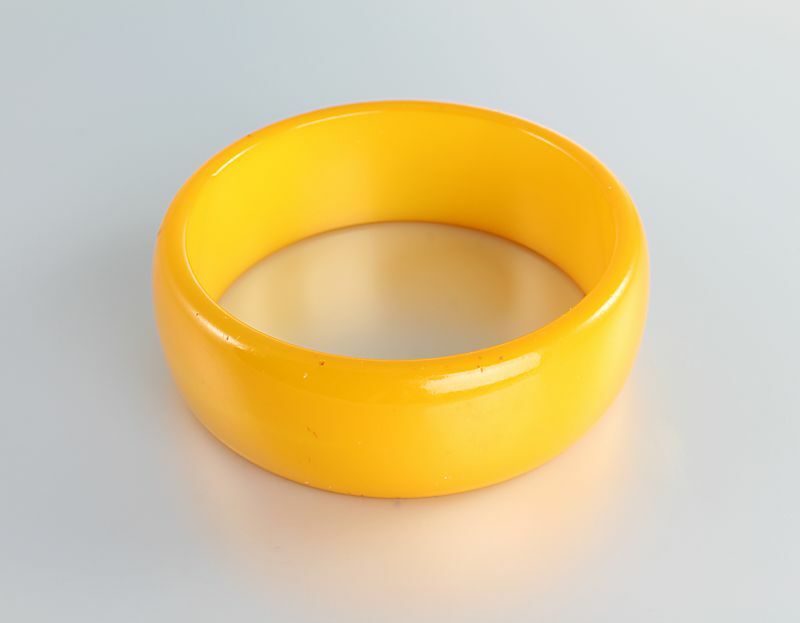 Bracelet is heavy and thick, measuring 2 9/16 inch on the inside diameter, 2 15/16 inch on the outside diameter and 15/16 inch in width. Some wear to surface. Bakelite has aged over the decades and this is more visible on the exterior.